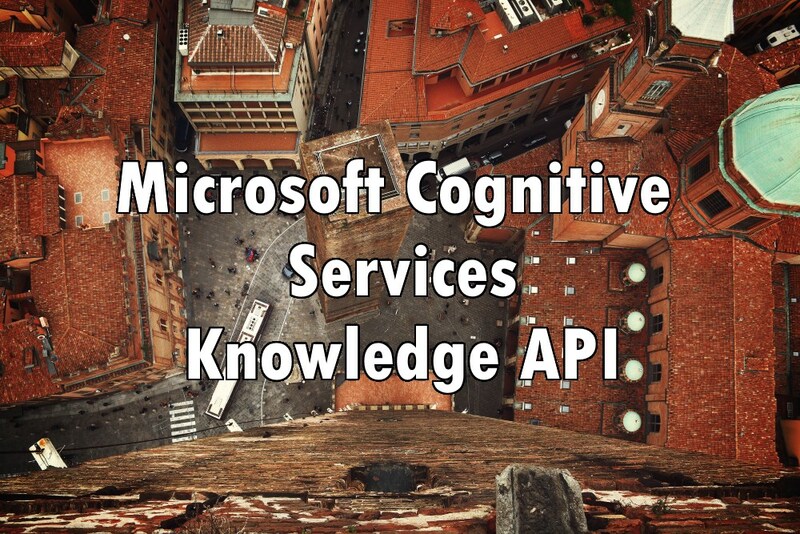 Continuing on Microsoft Cognitive API. Today lets find out about Knowledge API. In this category we can find services like: Academic Knowledge, Entity Linking, Knowledge Exploration, QnA maker and Recommendation API. Lets have a closer look at each of them. This API allows you to search through academic papers and retrieve information from Microsoft Academic Graph. MAG is bing based knowledge database. More can be found at: http://aka.ms/academicgraph. With this API we can identify entities in our text and match them with different one that has the same meaning based on context. Allows interactive search experience. In this category we can find services like: natural language understanding, query auto-completion, evaluation of structured query and attribute histogram. With this service you can easily convert existing FAQs into knowledge based that allows your users to query with a natural language. This API we can use to provide our users with services like product recommendations and frequently bought together option. This might be used as an excellent addition to online shopping experience. Have you already used Microsoft Cognitive Services in your application? If so I would like to know what are you using it for – share your ideas. Previous PostVisual Studio 2017 is here!